Predominantly Tibetan Buddhism, background of shamanism. minority Sunni Islam, Eastern Orthodox Church, Taoism, Bön and Protestantism. The Mongols (Mongolian : Монголчууд, ᠮᠣᠩᠭᠣᠯᠴᠤᠳ, Mongolchuud, [ˈmɔŋ.ɢɔɮ.t͡ʃʊːt] ) are an East-Central Asian ethnic group native to Mongolia and to China's Inner Mongolia Autonomous Region. They also live as minorities in other regions of China (e.g. Xinjiang), as well as in Russia. Mongolian people belonging to the Buryat and Kalmyk subgroups live predominantly in the Russian federal subjects of Buryatia and Kalmykia. The Khalkha is the largest subgroup of Mongol people in Mongolia since the 15th century. The Khalkha, together with Chahars, Ordos and Tumed, were directly ruled by Borjigin khans until the 20th century; unlike the Oirats, who were ruled by Dzungar nobles, or the Khorchins, who were ruled by Qasar's descendants. The Buryats, numbering approximately 500,000, are the largest indigenous group in Siberia, mainly concentrated in their homeland, the Buryat Republic, a federal subject of Russia. They are the major northern subgroup of the Mongols. Shiwei were a Mongolic people that inhabited far-eastern Mongolia, northern Inner Mongolia, northern Manchuria and the area near the Okhotsk Sea beach. Records mentioning the Shiwei were recorded from the time of the Northern Wei (386-534) until the rise of the Mongols under Genghis Khan in 1206 when the name "Mongol" and "Tatar" were applied to all the Shiwei tribes. Gog and Magog appear in the Hebrew Bible as individuals, peoples, or lands. In Ezekiel 38, Gog is an individual and Magog is his land; in Genesis 10 Magog is a man, but no Gog is mentioned; and centuries later Jewish tradition changed Ezekiel's Gog from Magog into Gog and Magog, which is the form in which they appear in the Book of Revelation, although there they are peoples rather than individuals. Tungusic peoples are the indigenous peoples who speak Tungusic languages. They inhabit Eastern Siberia and Manchuria. After the Donghu were defeated by Xiongnu king Modu Chanyu, the Xianbei and Wuhuan survived as the main remnants of the confederation. Tadun Khan of the Wuhuan (died 207 AD) was the ancestor of the proto-Mongolic Kumo Xi. The Wuhuan are of the direct Donghu royal line and the New Book of Tang says that in 209 BCE, Modu Chanyu defeated the Wuhuan instead of using the word Donghu. The Xianbei, however, were of the lateral Donghu line and had a somewhat separate identity, although they shared the same language with the Wuhuan. In 49 CE the Xianbei ruler Bianhe (Bayan Khan?) raided and defeated the Xiongnu, killing 2000, after having received generous gifts from Emperor Guangwu of Han. The Xianbei reached their peak under Tanshihuai Khan (reigned 156–181) who expanded the vast, but short lived, Xianbei state (93–234). Three prominent groups split from the Xianbei state as recorded by the Chinese histories: the Rouran (claimed by some to be the Pannonian Avars), the Khitan people and the Shiwei (a subtribe called the "Shiwei Menggu" is held to be the origin of the Genghisid Mongols). Besides these three Xianbei groups, there were others such as the Murong, Duan and Tuoba. Their culture was nomadic, their religion shamanism or Buddhism and their military strength formidable. There is still no direct evidence that the Rouran spoke Mongolic languages, although most scholars agree that they were Proto-Mongolic. The Khitan, however, had two scripts of their own and many Mongolic words are found in their half-deciphered writings. 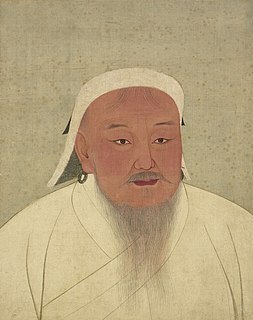 The Khalkha emerged during the reign of Dayan Khan (1479–1543) as one of the six tumens of the Eastern Mongolic peoples. They quickly became the dominant Mongolic clan in Mongolia proper. He reunited the Mongols again. The Mongols voluntarily reunified during Eastern Mongolian Tümen Zasagt Khan rule (1558–1592) for the last time (the Mongol Empire united all Mongols before this). 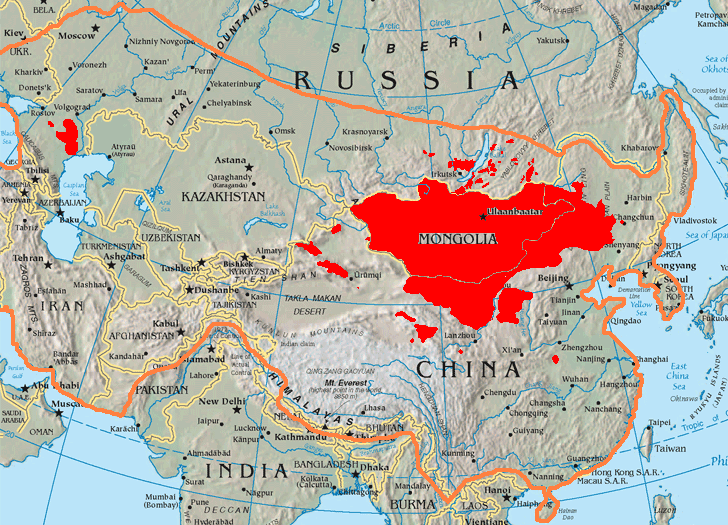 The Qing Empire conquered Upper Mongolia or the Oirat's Khoshut Khanate in the 1720s and 80,000 people were killed. By that period, Upper Mongolian population reached 200,000. The Dzungar Khanate conquered by the Qing dynasty in 1755–1758 because of their leaders and military commanders conflicts. Some scholars estimate that about 80% of the Dzungar population were destroyed by a combination of warfare and disease during the Qing conquest of the Dzungar Khanate in 1755–1758. Mark Levene, a historian whose recent research interests focus on genocide,  has stated that the extermination of the Dzungars was "arguably the eighteenth century genocide par excellence." The Dzungar population reached 600,000 in 1755. 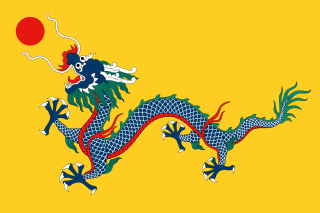 With the independence of Outer Mongolia, the Mongolian army controlled Khalkha and Khovd regions (modern day Uvs, Khovd, and Bayan-Ölgii provinces), but Northern Xinjiang (the Altai and Ili regions of the Qing Empire), Upper Mongolia, Barga and Inner Mongolia came under control of the newly formed Republic of China. On February 2, 1913 the Bogd Khanate of Mongolia sent Mongolian cavalries to "liberate" Inner Mongolia from China. Russia refused to sell weapons to the Bogd Khanate, and the Russian czar, Nicholas II, referred to it as "Mongolian imperialism". Additionally, the United Kingdom urged Russia to abolish Mongolian independence as it was concerned that "if Mongolians gain independence, then Central Asians will revolt". 10,000 Khalkha and Inner Mongolian cavalries (about 3,500 Inner Mongols) defeated 70,000 Chinese soldiers and controlled almost all of Inner Mongolia; however, the Mongolian army retreated due to lack of weapons in 1914. 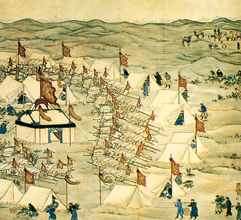 400 Mongol soldiers and 3,795 Chinese soldiers died in this war. The Khalkhas, Khovd Oirats, Buryats, Dzungarian Oirats, Upper Mongols, Barga Mongols, most Inner Mongolian and some Tuvan leaders sent statements to support Bogd Khan's call of Mongolian reunification. In reality however, most of them were too prudent or irresolute to attempt joining the Bogd Khan regime. Russia encouraged Mongolia to become an autonomous region of China in 1914. 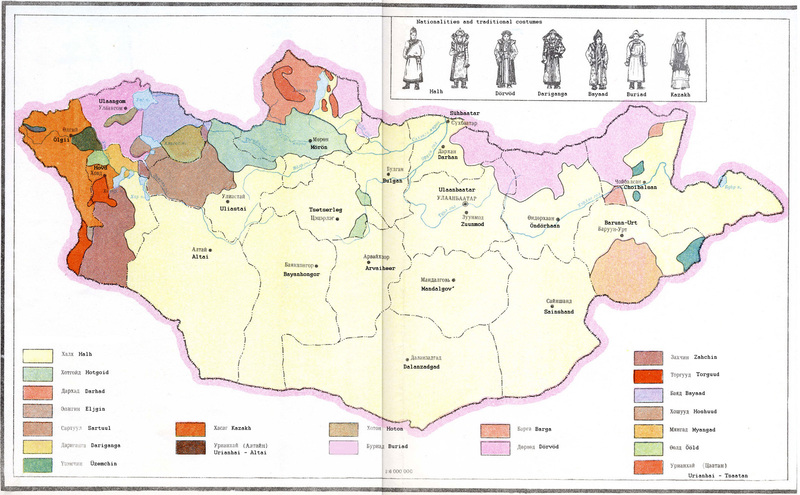 Mongolia lost Barga, Dzungaria, Tuva, Upper Mongolia and Inner Mongolia in the 1915 Treaty of Kyakhta. The Buryats started to migrate to Mongolia in the 1900s due to Russian oppression. Joseph Stalin's regime stopped the migration in 1930 and started a campaign of ethnic cleansing against newcomers and Mongolians. During the Stalinist repressions in Mongolia almost all adult Buryat men and 22–33,000 Mongols (3–5% of the total population; common citizens, monks, Pan-Mongolists, nationalists, patriots, hundreds military officers, nobles, intellectuals and elite people) were shot dead under Soviet orders. Some authors also offer much higher estimates, up to 100,000 victims. Around the late 1930s the Mongolian People's Republic had an overall population of about 700,000 to 900,000 people.By 1939, Soviet said "We repressed too many people, the population of Mongolia is only hundred thousands". Proportion of victims in relation to the population of the country is much higher than the corresponding figures of the Great Purge in the Soviet Union. The Tsardom of Russia, Russian Empire, Soviet Union, capitalist and communist China performed many genocide actions against the Mongols (assimilate, reduce the population, extinguish the language, culture, tradition, history, religion and ethnic identity). Peter the Great said: "The headwaters of the Yenisei River must be Russian land". Russian Empire sent the Kalmyks and Buryats to war to reduce the populations (World War I and other wars).Soviet scientists attempted to convince the Kalmyks and Buryats that they're not the Mongols during the 20th century (demongolization policy). 35,000 Buryats were killed during the rebellion of 1927 and around one-third of Buryat population in Russia died in the 1900s–1950s. 10,000 Buryats of the Buryat-Mongol Autonomous Soviet Socialist Republic were massacred by Stalin's order in the 1930s. In 1919 the Buryats established a small theocratic Balagad state in Kizhinginsky District of Russia and the Buryat's state fell in 1926. In 1958, the name "Mongol" was removed from the name of the Buryat-Mongol Autonomous Soviet Socialist Republic. On 22 January 1922 Mongolia proposed to migrate the Kalmyks during the Kalmykian Famine but bolshevik Russia refused.71–72,000 (93,000? ; around half of the population) Kalmyks died during the Russian famine of 1921–22. The Kalmyks revolted against Soviet Union in 1926, 1930 and 1942–1943 (see Kalmykian Cavalry Corps). In 1913, Nicholas II, tsar of Russia, said: "We need to prevent from Volga Tatars. But the Kalmyks are more dangerous than them because they are the Mongols so send them to war to reduce the population". On 23 April 1923 Joseph Stalin, communist leader of Russia, said: "We are carrying out wrong policy on the Kalmyks who related to the Mongols.Our policy is too peaceful". In March 1927, Soviet deported 20,000 Kalmyks to Siberia, tundra and Karelia.The Kalmyks founded sovereign Republic of Oirat-Kalmyk on 22 March 1930. The Oirat's state had a small army and 200 Kalmyk soldiers defeated 1,700 Soviet soldiers in Durvud province of Kalmykia but the Oirat's state destroyed by the Soviet Army in 1930. Kalmykian nationalists and Pan-Mongolists attempted to migrate Kalmyks to Mongolia in the 1920s. Mongolia suggested to migrate the Soviet Union's Mongols to Mongolia in the 1920s but Russia refused the suggest. Stalin deported all Kalmyks to Siberia in 1943 and around half of (97–98,000) Kalmyk people deported to Siberia died before being allowed to return home in 1957. The government of the Soviet Union forbade teaching Kalmyk language during the deportation.The Kalmyks' main purpose was to migrate to Mongolia and many Kalmyks joined the German Army.Marshal Khorloogiin Choibalsan attempted to migrate the deportees to Mongolia and he met with them in Siberia during his visit to Russia. Under the Law of the Russian Federation of April 26, 1991 "On Rehabilitation of Exiled Peoples" repressions against Kalmyks and other peoples were qualified as an act of genocide. After the end of World War II, the Chinese Civil War resumed between the Chinese Nationalists (Kuomintang), led by Chiang Kai-shek, and the Chinese Communist Party, led by Mao Zedong. In December 1949, Chiang evacuated his government to Taiwan. Hundred thousands Inner Mongols were massacred during the Cultural Revolution in the 1960s and China forbade Mongol traditions, celebrations and the teaching of Mongolic languages during the revolution.In Inner Mongolia, some 790,000 people were persecuted. Approximately 1,000,000 Inner Mongols were killed during the 20th century. [ citation needed ] In 1960 Chinese newspaper wrote that "Han Chinese ethnic identity must be Chinese minorities ethnic identity". [ citation needed ] China-Mongolia relations were tense from the 1960s to the 1980s as a result of Sino-Soviet split, and there were several border conflicts during the period. Cross-border movement of Mongols was therefore hindered. On 3 October 2002 the Ministry of Foreign Affairs announced that Taiwan recognizes Mongolia as an independent country,  although no legislative actions were taken to address concerns over its constitutional claims to Mongolia. Offices established to support Taipei's claims over Outer Mongolia, such as the Mongolian and Tibetan Affairs Commission,  lie dormant. Agin-Buryat Okrug and Ust-Orda Buryat Okrugs merged with Irkutsk Oblast and Chita Oblast in 2008 despite Buryats' resistance. Small scale protests occurred in Inner Mongolia in 2011. The Inner Mongolian People's Party is a member of the Unrepresented Nations and Peoples Organization  and its leaders are attempting to establish sovereign state or merge Inner Mongolia with Mongolia. 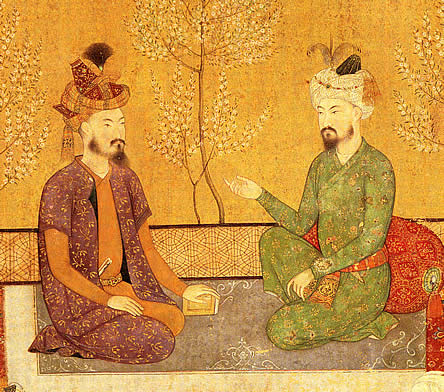 In 1254 Möngke Khan organized a formal religious debate (in which William of Rubruck took part) between Christians, Muslims and Buddhists in Karakorum, a cosmopolitan city of many religions. The Mongolic Empire was known for its religious tolerance, but had a special leaning towards Buddhism and was sympathetic towards Christianity while still worshipping Tengri. 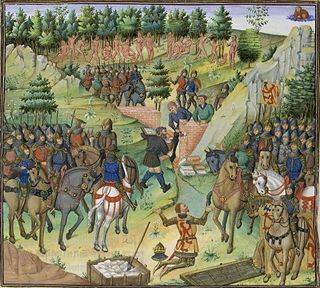 The Mongolic leader Abaqa Khan sent a delegation of 13–16 to the Second Council of Lyon (1274), which created a great stir, particularly when their leader 'Zaganus' underwent a public baptism. A joint crusade was announced in line with the Franco-Mongol alliance but did not materialize because Pope Gregory X died in 1276. Yahballaha III (1245–1317) and Rabban Bar Sauma (c. 1220–1294) were famous Mongolic Nestorian Christians. The Keraites in central Mongolia were Christian. In Istanbul the Church of Saint Mary of the Mongols stands as a reminder of the Byzantine-Mongol alliance. The western Khanates, however, eventually adopted Islam (under Berke and Ghazan) and the Turkic languages (because of its commercial importance), although allegiance to the Great Khan and limited use of the Mongolic languages can be seen even in the 1330s. In 1521 the first Mughal emperor Babur took part in a military banner milk-sprinkling ceremony in the Chagatai Khanate where the Mongolian language was still used. Al-Adil Kitbugha (reigned 1294-1296), a Mongol Sultan of Egypt, and the half-Mongol An-Nasir Muhammad (reigned till 1341) built the Madrassa of Al-Nasir Muhammad in Cairo, Egypt. An-Nasir's Mongol mother was Ashlun bint Shaktay. The Mongolic nobility during the Yuan dynasty studied Confucianism, built Confucian temples (including Beijing Confucius Temple) and translated Confucian works into Mongolic but mainly followed the Sakya school of Tibetan Buddhism under Phags-pa Lama. The general populace still practised Shamanism. Dongxiang and Bonan Mongols adopted Islam, as did Moghol-speaking peoples in Afghanistan. In the 1576 the Gelug school of Tibetan Buddhism became the state religion of the Mongolia. The Red Hat school of Tibetan Buddhism coexisted with the Gelug Yellow Hat school which was founded by the half-Mongol Je Tsongkhapa (1357-1419). Shamanism was absorbed into the state religion while being marginalized in its purer forms, later only surviving in far northern Mongolia. Monks were some of the leading intellectuals in Mongolia, responsible for much of the literature and art of the pre-modern period. Many Buddhist philosophical works lost in Tibet and elsewhere are preserved in older and purer form in Mongolian ancient texts (e.g. 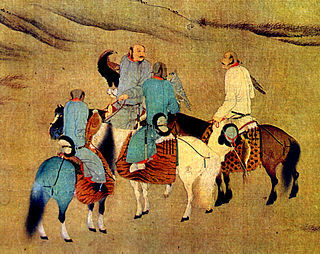 the Mongol Kanjur). Zanabazar (1635–1723), Zaya Pandita (1599–1662) and Danzanravjaa (1803–1856) are among the most famous Mongol holy men. The 4th Dalai Lama Yonten Gyatso (1589–1617), a Mongol himself, is recognized as the only non-Tibetan Dalai Lama although the current 14th Dalai Lama is of Mongolic Monguor extraction. The name is a combination of the Mongolian word dalai meaning "ocean" and the Tibetan word (bla-ma) meaning "guru, teacher, mentor". Many Buryats became Orthodox Christians due to the Russian expansion. During the socialist period religion was officially banned, although it was practiced in clandestine circles. Today, a sizable proportion of Mongolic peoples are atheist or agnostic. In the most recent census in Mongolia, almost forty percent of the population reported as being atheist, while the majority religion was Tibetan Buddhism, with 53%. Having survived suppression by the Communists, Buddhism among the Eastern, Northern, Southern and Western Mongols is today primarily of the Gelugpa (Yellow Hat sect) school of Tibetan Buddhism. There is a strong shamanistic influence in the Gelugpa sect among the Mongols. The traditional Mongol family was patriarchal, patrilineal and patrilocal. Wives were brought for each of the sons, while daughters were married off to other clans. Wife-taking clans stood in a relation of inferiority to wife-giving clans. Thus wife-giving clans were considered "elder" or "bigger" in relation to wife-taking clans, who were considered "younger" or "smaller". This distinction, symbolized in terms of "elder" and "younger" or "bigger" and "smaller", was carried into the clan and family as well, and all members of a lineage were terminologically distinguished by generation and age, with senior superior to junior. In the traditional Mongolian family, each son received a part of the family herd as he married, with the elder son receiving more than the younger son. The youngest son would remain in the parental tent caring for his parents, and after their death he would inherit the parental tent in addition to his own part of the herd. This inheritance system was mandated by law codes such as the Yassa, created by Genghis Khan. Likewise, each son inherited a part of the family's camping lands and pastures, with the elder son receiving more than the younger son. The eldest son inherited the farthest camping lands and pastures, and each son in turn inherited camping lands and pastures closer to the family tent until the youngest son inherited the camping lands and pastures immediately surrounding the family tent. Family units would often remain near each other and in close cooperation, though extended families would inevitably break up after a few generations. It is probable that the Yasa simply put into written law the principles of customary law. The Buryats are mainly concentrated in their homeland, the Buryat Republic, a federal subject of Russia. They are the major northern subgroup of the Mongols. The Barga Mongols are mainly concentrated in Inner Mongolia, China, along with the Buryats and Hamnigan. The 2010 census of the People's Republic of China counted more than 7 million people of various Mongolic groups. The 1992 census of China counted only 3.6 million ethnic Mongols. [ citation needed ] The 2010 census counted roughly 5.8 million ethnic Mongols, 621,500 Dongxiangs, 289,565 Mongours, 132,000 Daurs, 20,074 Baoans, and 14,370 Yugurs. [ citation needed ] Most of them live in the Inner Mongolia Autonomous Region, followed by Liaoning. Small numbers can also be found in provinces near those two. There were 669,972 Mongols in Liaoning in 2011, making up 11.52% of Mongols in China. The closest Mongol area to the sea is the Dabao Mongol Ethnic Township ( 大堡蒙古族乡 ) in Fengcheng, Liaoning. With 8,460 Mongols (37.4% of the township population)  it is located 40 km (25 mi)from the North Korean border and 65 km (40 mi)from Korea Bay of the Yellow Sea. Another contender for closest Mongol area to the sea would be Erdaowanzi Mongol Ethnic Township ( 二道湾子蒙古族乡 ) in Jianchang County, Liaoning. With 5,011 Mongols (20.7% of the township population)  [ better source needed ] it is located around 65 km (40 mi)from the Bohai Sea. The Kalmyks are the Oirats in Russia, whose ancestors migrated from Dzungaria in 1607. They created the Kalmyk Khanate in 1630–1771 in Russia's North Caucasus territory. 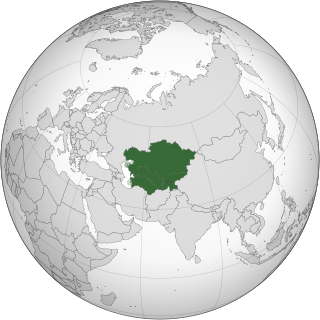 Today they form a majority in the Republic of Kalmykia located in the Kalmyk Steppe, on the western shore of the Caspian Sea. The name Dzungar people, also written as Zunghar, referred to the several Oirat tribes who formed and maintained the Dzungar Khanate in the 17th and 18th centuries. Historically they were one of major tribes of the Four Oirat confederation. They were also known as the Eleuths or Ööled, from the Qing dynasty euphemism for the hated word "Dzungar", and also called "Kalmyks". In 2010, 15,520 people claimed "Ööled" ancestry in Mongolia. An unknown number also live in China, Russia, and Kazakhstan. 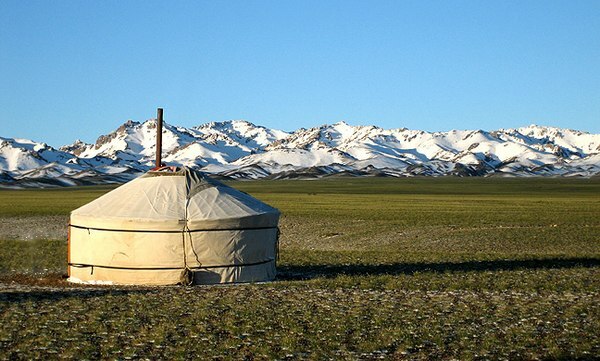 The Upper Mongols, also known as the Köke Nuur Mongols or Qinghai Mongols are ethnic Mongol people of Oirat and Khalkha origin who settled around Qinghai Lake in so-called Upper Mongolia. As part of the Khoshut Khanate of Tsaidam and the Koke Nuur they played a major role in Sino–Mongol–Tibetan politics during the 17th and 18th centuries. The Upper Mongols adopted Tibetan dress and jewelry despite still living in the traditional Mongolian ger and writing in the script. Various nomadic empires, including the Xiongnu, the Xianbei state, the Rouran Khaganate (330-555), the Turkic Khaganate (552-744) and others, ruled the area of present-day Mongolia. The Khitan people, who used a para-Mongolic language, founded a state known as the Liao dynasty (907-1125) in Central Asia and ruled Mongolia and portions of the present-day Russian Far East, northern Korea, and North China. 1 2 3 4 5 6 7 "Mongolia National Census" (PDF) (in Mongolian). National Statistical Office of Mongolia. 2010. Archived from the original (PDF) on 15 September 2011. Retrieved 29 January 2017. ↑ "Bevölkerung nach Staatsangehörigkeit und Geburtsland" [Population by citizenship and country of birth] (in German). Statistik Austria. 3 July 2014. Retrieved 21 August 2014. ↑ National Bureau of Statistics of the People's Republic of China (April 2012). Tabulation of the 2010 Population Census of the People's Republic of China. China Statistics Press. ISBN 978-7-5037-6507-0 . Retrieved 2013-02-19. ↑ "Mongolia: Ethnography of Mongolia". Encyclopædia Britannica . Retrieved 2007-07-22. ↑ Dr. Obrusánszky, Borbála : The History and Civilization of the Huns. Paper of the University of Amsterdam, 8 October 2007. Page 60. ↑ San, Tan Koon (2014-08-15). Dynastic China: An Elementary History. The Other Press. ISBN 978-983-9541-88-5. 1 2 Jerry Bentley, "Old World Encounters: Cross-Cultural Contacts and Exchange in Pre-Modern Times (New York: Oxford University Press, 1993), 136. ↑ MOLNÁR, ÁDÁM. "THE PLOUGH AND PLOUGHING AMONG THE ALTAIC PEOPLES." Central Asiatic Journal 26, no. 3/4 (1982): 215-24. ↑ "Mongolia-China relations". Library of Congress. Archived from the original on 2013-09-05. Retrieved 2008-06-15. ↑ "Mongolian office to ride into Taipei by end of the year". Taipei Times. 2002-10-11. Retrieved 2009-05-28. In October 1945, the people of Outer Mongolia voted for independence, gaining the recognition of many countries, including the Republic of China. (...) Due to a souring of relations with the Soviet Union in the early 1950s, however, the ROC revoked recognition of Outer Mongolia, reclaiming it as ROC territory. ↑ "Taiwan 'embassy' changes anger China". BBC News. 2002-02-26. Retrieved 2009-05-28. ↑ "The History of MTAC". Mongolian & Tibetan Affairs Commission. Archived from the original on 2009-05-08. Retrieved 2009-05-07. ↑ "Matthew Barnes. "The Mongol War Machine: How Were the Mongols Able to Forge the Largest Contiguous Land Empire in History?". The Pica A Global Research Organization. Pica, 14 November 2012. p. 522. Archived from the original on 2013-06-12. Retrieved 2012-11-14. 1 2 Түмэдхүү, ӨМӨЗО-НЫ ХҮН АМЫН ХУВИРАЛТЫН ЗУРГИЙГ ҮЗЭЭД (Southern) Mongolian Liberal Union Party (Mongolian) Millions of Han Chinese registered as "Mongol" and "Manchu" according to Chinese policy since the 1980s.There is no enough information about Chinese ethnic minorities due to the government policy. ↑ Shimamura, Ippei (2014). The Roots Seekers: Shamanism and Ethnicity Among the Mongol Buryats. Kanagawa, Japan: Shumpusha. ISBN 978-4-86110-397-1. ↑ "Kalmyks". World Directory of Minorities and Indigenous Peoples. 2005. Retrieved 2008-05-18. ↑ The Genographic Project. (2018). Reference Populations – Geno 2.0 Next Generation. March 11, 2018, archived web page at the Wayback Machine.